the rate at which new events occur in a population. The numerator is the number of new events occurring in a defined period; the denominator is the population at risk of experiencing the event during this period. 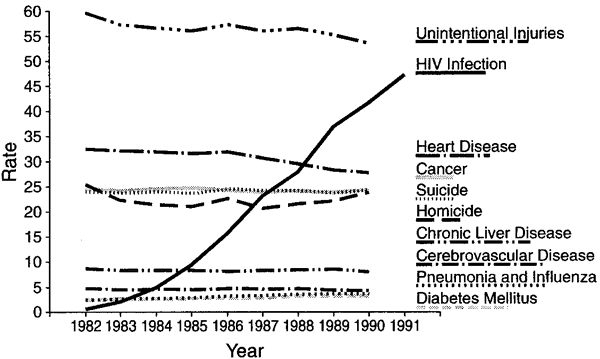 the rate of new cases of a disease in a specified population over a defined period. Epidemiology A measure of the frequency with which an event–eg, a new case of illness, occurs in a population over a period of time; denominator is the population at risk; numerator is the number of new cases occurring during a given time period. See Incidence. Velocity at which new events occur in a population. The numerator is the number of new events occurring in a defined period; the denominator is the population at risk of experiencing the event during this period. Table 1: Population size and annual population growth rates, GCC 2006 (000s) Country Population Bahrain 731 Kuwait 2 770 Oman 2 546 Qatar 871 Saudi Arabia 24 175 UAE 4 248 Total 35 247 Source: World Health Organization (WHO) Table 2: Incidence Rates of TB, GCC, 1990-2006 (per 100 000 population) Change Country 1990 2000 2006 1990-2006 Bahrain 76. Cancer incidence in males Table 2 shows the age-adjusted cancer incidence rates in males. A previous population based study (13) regarding epidemiological trends for melanoma in Puerto Rico, also obtained the data from the Puerto Rico Central Cancer Registry and included the incidence rates of melanoma from 1987 to 1991, a time period also included in our analysis. Because not all cases are preventable, we used the CDC definition to estimate the incidence rate of preventable cases. During 1999-2013, state-specific NAS incidence rates increased significantly in 25 of 27 states with at least 3 years of data, with annual changes in incidence rates ranging from 0. The average annual age-group specific incidence rates of community-acquired LD in the county increased in older age groups except in the 85+ age group. ILI incidence rate ratios for schoolchildren compared with adults during 2-week periods surrounding school winter breaks, by age group, Chile, 2004-2010 * ILI incidence rate ratio Before During After Age group, y school school school break break break Adults [greater than or equal to] 20 Schoolchildren 5-14 2. The average age-adjusted incidence rate over the study years among males was 34. Although annual coccidioidomycosis incidence rates in California and Arizona typically follow similar trends, Arizona reported a decrease in the rate from 2015 to 2016 (from 112. The prevalence and incidence rate of skin cancer and STS in males were higher than in females in most years of the survey. Because the source population can be ascertained by using the epidemiologic data for TB as a reportable disease, to estimate the incidence rate of PNTMD, we used the ratio of TB to PNTMD cases. The result indicated a lower annual incidence rate of leukemia in SG [Figure 1], suggesting that leukemia in SG has not increased due to war and usage of depleted uranium in Iraq.